Marble tile flooring can be a long-lasting and stunning addition to your home or business décor. Well-maintained marble floors are virtually ageless and even decades-old marble surfaces can look as if they were freshly installed. Natural marble stone may seem indestructible, but it is also somewhat porous. As a result, marble can lose some of its glorious beauty when exposed to water and certain irritants that are not removed immediately. Many harmful substances are not visible, so establishing a regular and thorough cleaning program is a good idea. Microfiber Mopping: Regular mopping with a microfiber dust mop softly clears the surface of loose dust particles without creating microabrasions that can become visible over time. If particles are left on the floor for an extended time, foot traffic can eventually grind foreign materials into the surface causing small, visible scratches. Vacuuming: Using a vacuum cleaner is also an acceptable method for clearing loose dust and debris. Be sure that the device is operating properly and set for the proper height for hard surfaces. Wet Mopping with a pH Neutral Soap: For a thorough cleaning, use a wet mop with a no acidic substances. Household products like vinegar should never come in contact with marble surface as these cause a reaction with the stone that take away the beautiful gloss of the surface. Too much acidic exposure can even corrode the marble. Look for a neutral cleaner at the hardware store or use a highly diluted solution (1/2 cup per bucket of water) of a vegetable-based dishwashing soap. Always Use Only Soft Materials: When mopping or hand cleaning, you should always use a soft cloth material. Never use brushes or scrub sponges to clean. This is true also for marble backsplashes or counters. Never Leave Standing Water: Because granite is porous, standing water can create a permanent stain on a marble surface. Make sure all water is removed from the surface when you are finished wet mopping. Use a dry soft cloth to clear away the excess. Professional Cleaning: An occasional professional cleaning can restore the beautiful shine and appearance. The pros will buff the floors with wool to restore the original look. For removal of stains caused by rust and salt, you should always contact a professional. 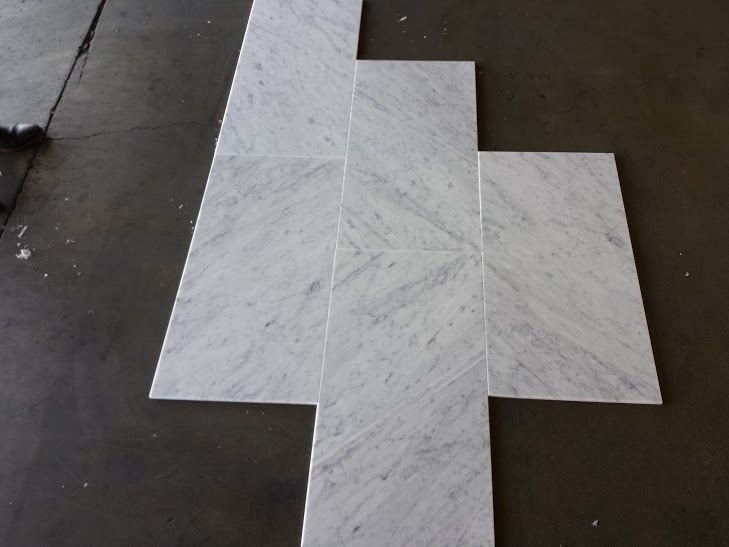 The experts at PetraSlate are knowledgeable about topics pertaining to the cleaning and maintenance of marble tile flooring. Visit their website for information regarding the availability of high-quality marble tile for your home or business. Phone PetraSlate Tile and Stone at (303)-280-9595.